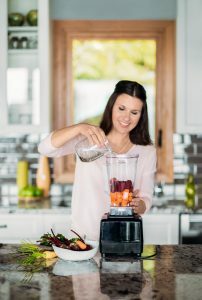 Discover How a Proven, Practical Program with Over 140 Easy, Delicious Recipes Can Help Boost Energy and Mood, Lower Inflammation, Gain Strength, and Restore a Healthy Weight. Women have been told for decades that when we have a hormonal problem, our only options are birth control pills, synthetic hormones, patches or sometimes even the removal of our body parts. Today I want to show you a more natural, non-invasive and honorable way to support your body and rebalance your hormones – using the medicinal power of food. 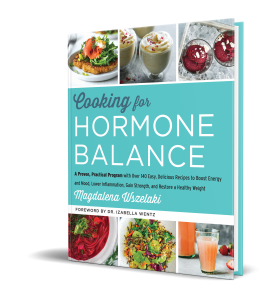 My friend and colleague Magdalena Wszelaki, a hormone expert, chef and published author, has been teaching women for over a decade how to use food to rebalance their hormones. 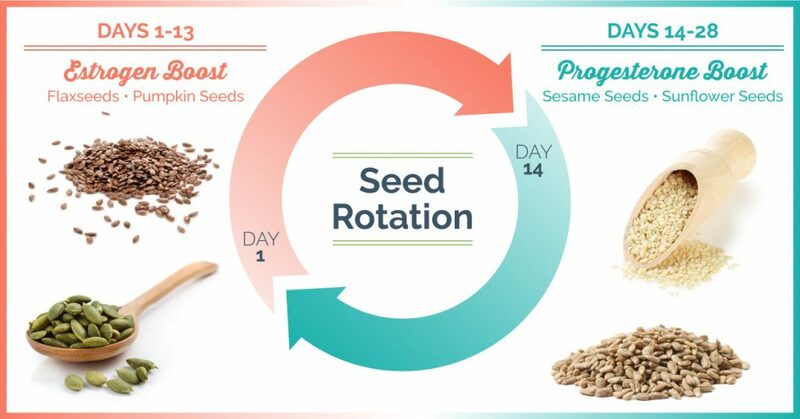 Her hormone balancing method has helped women struggling with hormonal imbalances that cause weight, fatigue, depression, anxiety, PMS, fibrocystic breasts, thyroid issues, hair loss, irregular periods or lack of periods. She has also been helping women going through perimenopause and menopause – resolving frustrating symptoms such as hot flashes, night sweats, belly fat, forgetfulness and mood swings. Bottom line is: Food can be your #1 ally in rebalancing your hormones naturally. Magdalena has created a beautiful, informative GUIDE called “20 Hormone Balancing Superfoods and 20 Power Herbs, Spices and Medicinal Mushrooms.” You can download it here. Some of my favorite foods from this list are: Flaxseed, pomegranates, Brazil nuts, broccoli sprouts and seaweed. I felt empowered just reading about their benefits and how they can help our hormones. It’s so easy, inexpensive, natural and healthy! P.S. Most of the foods in the 20 Hormone Balancing Superfoods GUIDE are commonly available at your local health store. P.S.S Each food and herb contains the science behind the ingredient and the cooking methods – so you can get started right away. Thyroid • Hashimoto’s • Adrenal Fatigue • Peri-/Menopause • Estrogen Dominance • PCOS • Fibroids • Endometriosis • Breast Lumps • Thyroid Nodules • Breast and Thyroid Cancer. This book offers you the comprehensive food-as-medicine approach for tackling hormone imbalance. You will receive tons of All recipes are free of: Gluten, Dairy, Soy, Corn, Eggs and Nightshade Vegetables. They are highly anti-inflammatory and low in sugar. For more information about where to get this exciting new book, click here.